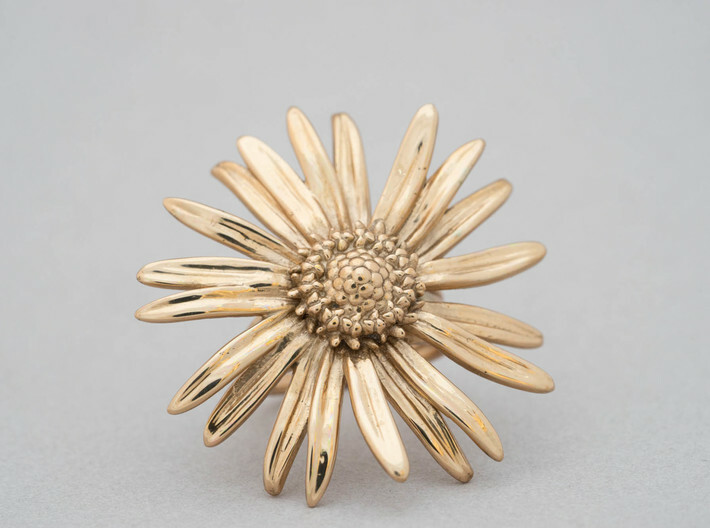 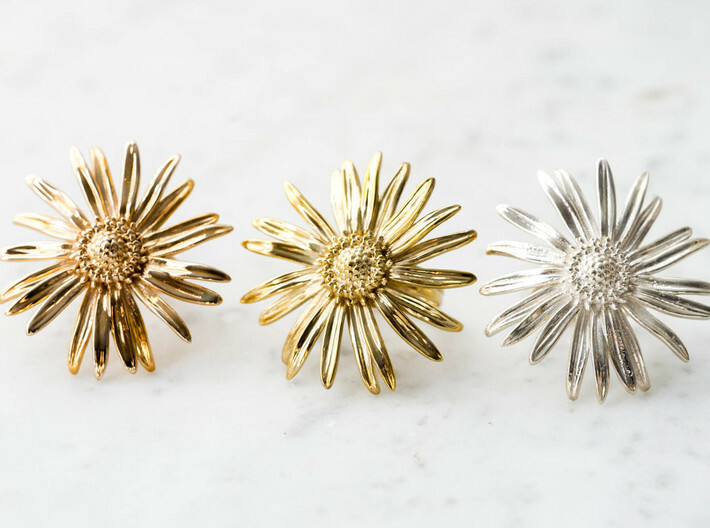 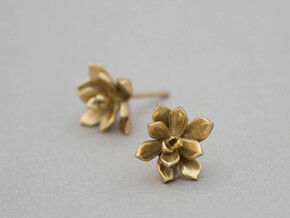 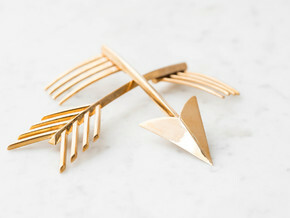 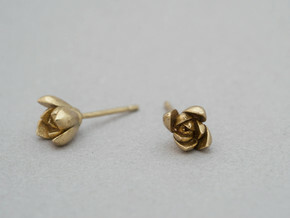 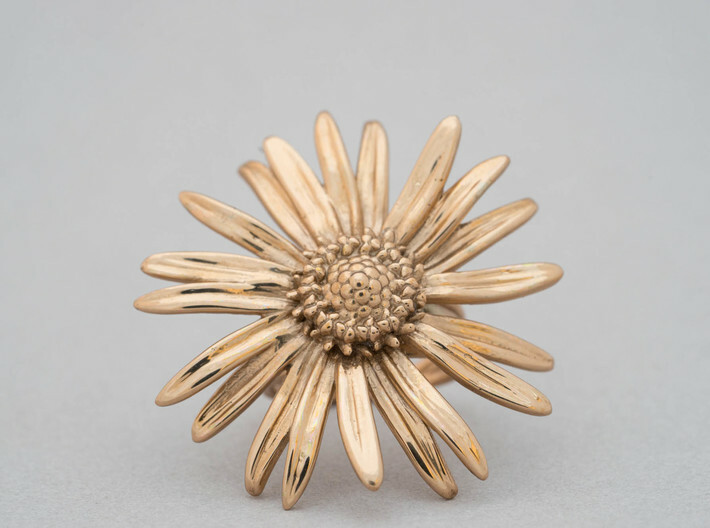 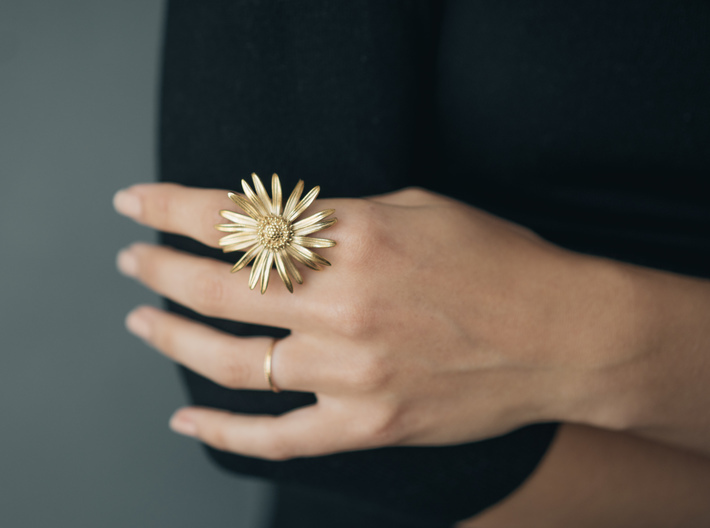 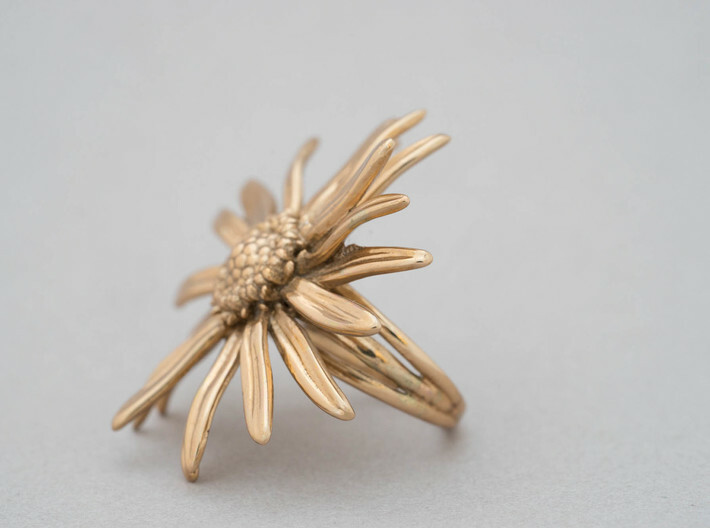 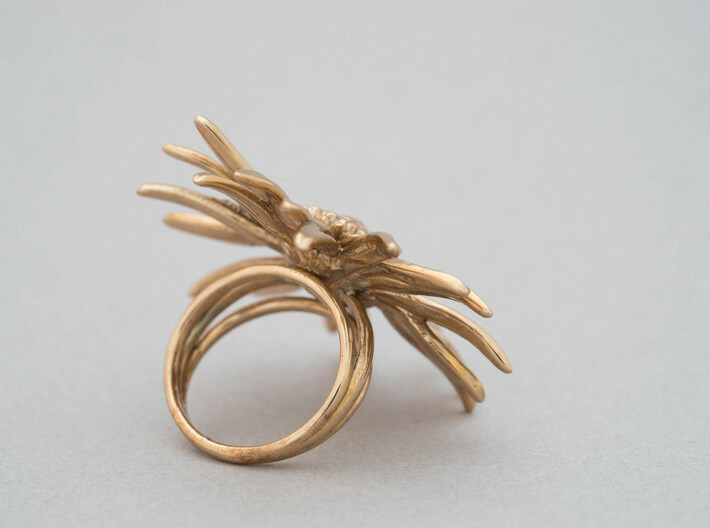 This adorable daisy statement ring is quickly becoming one of our absolute favorite go-to pieces. 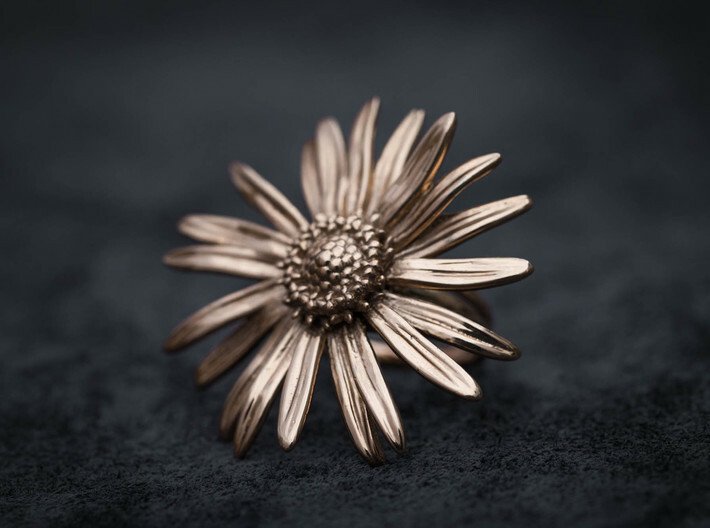 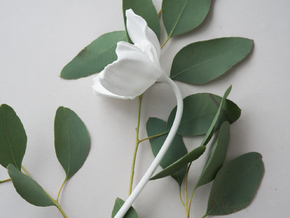 With a delicate bloom measuring 1.5" wide, an incredible level of detail, and an elegant triple band, this ring packs a sweet but major punch. 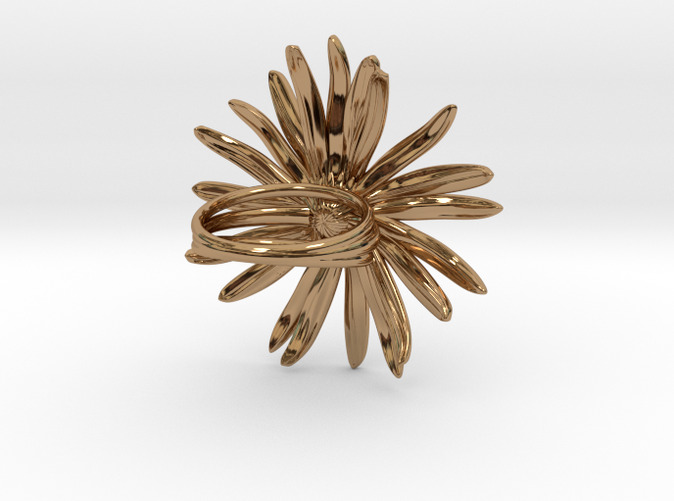 And when you mention to admirers that it's 3D printed?